In spring 1968, driven by undiminished enthusiasm and sound expertise, the production activities were inaugurated with the dyeing of Rachel and Valenciennes lace types. Meanwhile, the market demand, constantly changed, imposing a corresponding adjustment of the entire textile system. To meet the end consumers’ increasingly diversified demands and behaviour (that by then regarded not only the clothing sector but also the fields of furniture, healthcare, sports, industrial applications and leisure, etc. ), it was necessary to provide functional, hygienically-safe, aesthetically pleasing and economically advantageous products. It was the genius of Luigi Chiappini, in collaboration with his friends and business partners Italo Pilenga and Renzo Colombo, who anticipated these evolutionary changes, dyeing activities focused on technological and organisational innovation. This was a courageous choice for the small industrial dyeing company that would have influenced every single decision from that moment onwards. Therefore, other types of product and fibres were introduced: polyamide-fibre (nylon) warp-knit fabrics (velveteen, charmeuse, shirt fabrics), polyester, acetates and triacetates, cotton, artificial and acrylic fibres and then, shortly after, circular-knit fabrics. 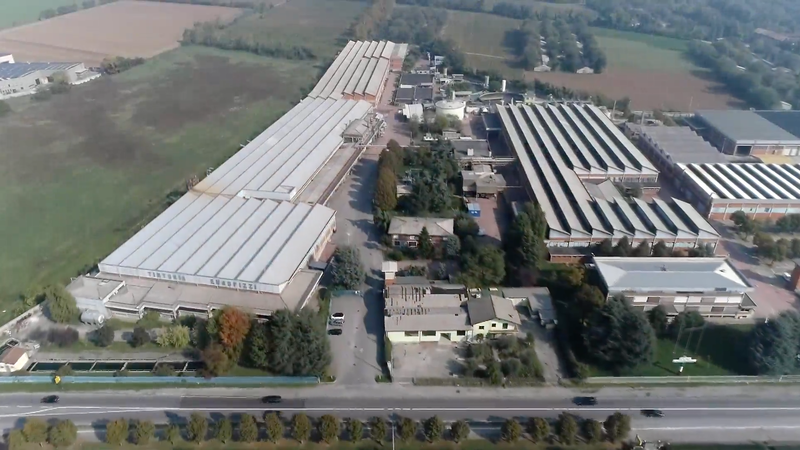 In 1977, a new dyeing department was designed and put into operation, in which warp and weft textile items in cotton/linen, viscose rayon and acetate, nylon/cotton, polyester/cotton for the furnishing, clothing sectors and for the most diverse applications; during the same period, by applying the solutions provided by Information Technology to its systems, Europizzi S.r.l. has succeeded in managing processing operations in accordance with the criteria of flexibility and rapidity. The need to have the utmost flexibility in accepting several work orders and to meet them with the perfect qualitative correspondence has brought our company to be structured as per type of item and processing operation. In 1988, the Textile Auxiliary Division was established. This choice was taken to create and make the most of opportunities of synergy with other dyeing and printing departments from which important elements have been taken to achieve the improvement of products used at that time. Here the fundamental components for dyeing, printing and finishing operations were made, used in textile ennobling processes. To these types of operation, new product lines to be used in the construction industry, waste water treatment, additives for the plastic industry were gradually added. Currently, Europizzi S.r.l. Textile Auxiliary Division collaborates with important research centres and leading companies within the chemical-textile sector in various innovative projects. The last in chronological order is within the 7th framework programme of the European Company and has, as its objective, the use of nanotechnologies for the improvement of the fire-retardant treatment of cotton and polyester. The Europizzi S.r.l. Textile Auxiliary Division can provide complete plant-engineering/production know-how relating to the following production lines. Currently, Europizzi S.r.l. has 110 employees and covers and indoor surface area of 36,000 m2. The production is mostly destined for the European market through national customers that are regular exporters.